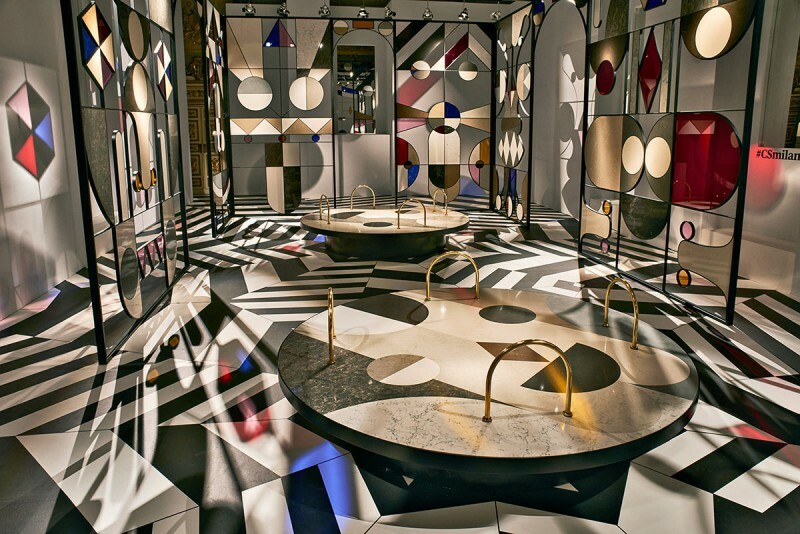 Leading quartz manufacturer Caesarstone returns to Palazzo Serbelloni to unveil “Stone Age Folk” by Jaime Hayon, the pinnacle event of their year-long collaboration with the world renowned Spanish designer for the 2017 Designer Collaboration Programme. 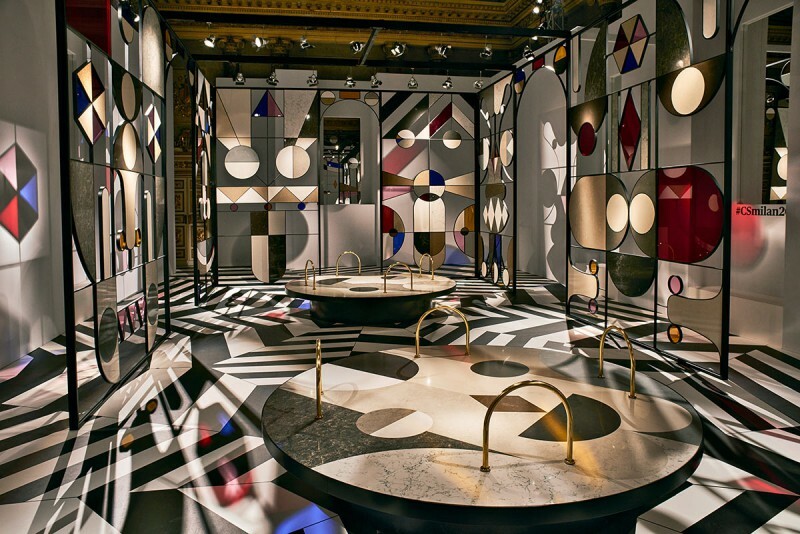 Inspired by flora, fauna and folklore from different cultures, Jaime Hayon designed an architectural pavilion, which references the famous Crystal Palace built in Hyde Park, London for the Great Exhibition of 1851, combining over 48 Caesarstone colours with metal and stained glass. 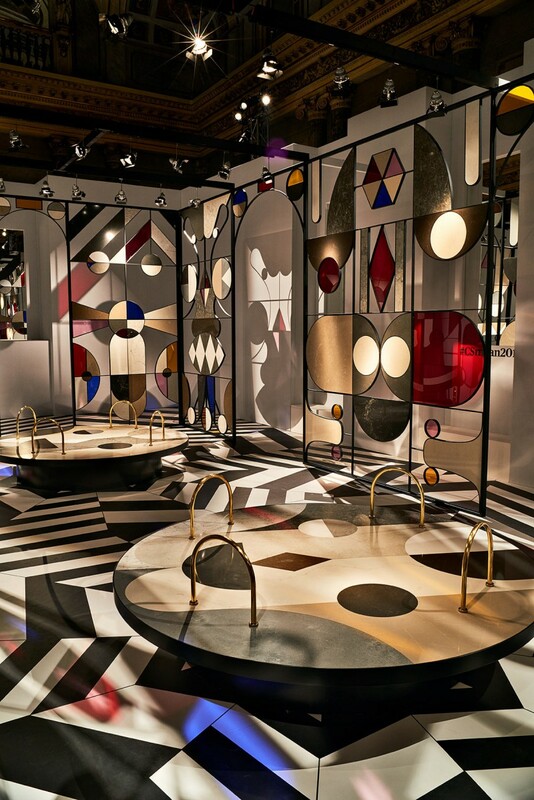 Within the historical backdrop of the Palazzo’s Ballroom, Caesarstone’s quartz material is meticulously handcrafted and implanted into the metal frame of the pavilion as a precious jewel within Hayon’s whimsical Caesarstone universe. 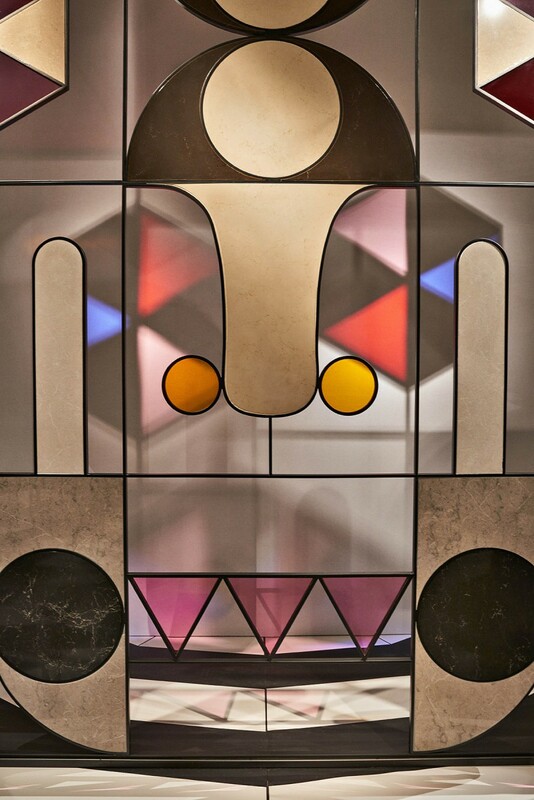 Employing traditional high-end stone marquetry and stained glass window techniques, the designer is imbuing the space with his eccentric spirit and artistry to create a fantasy world made of different colours, forms and shapes. 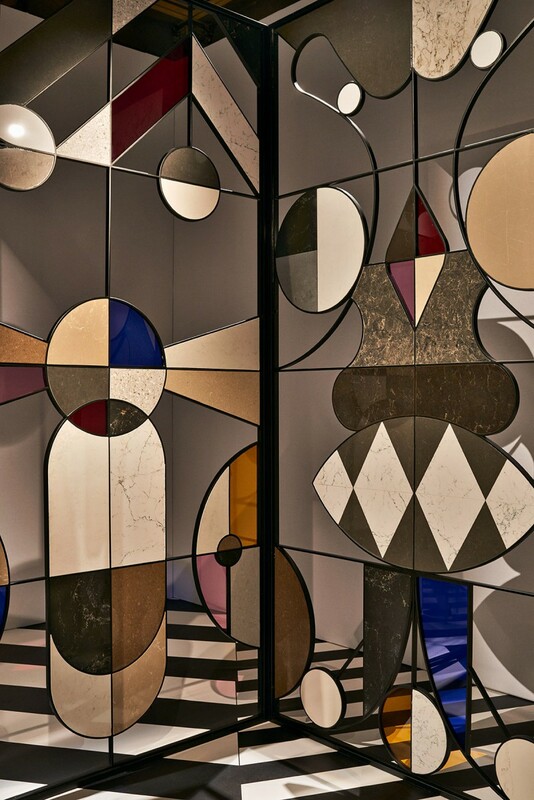 This fantasy world is inspired by the natural environment, the animal kingdom, and folklore of different cultures, ranging from Hungarian myths to African tribal influences.